As binocular magnification increases, even bumps as minor as the pulse in your fingers can be transformed into jumpy, jittery images. On a moving boat or car, the jitter can be much worse. 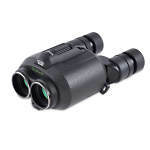 Techno-stabi binoculars help you deal with individual and compound external forces such as vibration, jumps and irregular motion, to create a solid, steady image. They allow you to use binoculars in situations where it would otherwise be impossible to see. 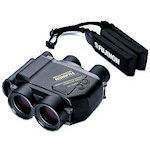 Stabilization allows you to use much higher powered binoculars in these difficult situations. Techno-stabi binoculars feature 100% EBC coating BaK-4 prisms, fully multicoated lenses, and waterproof construction, so you always have a good view of the birds.